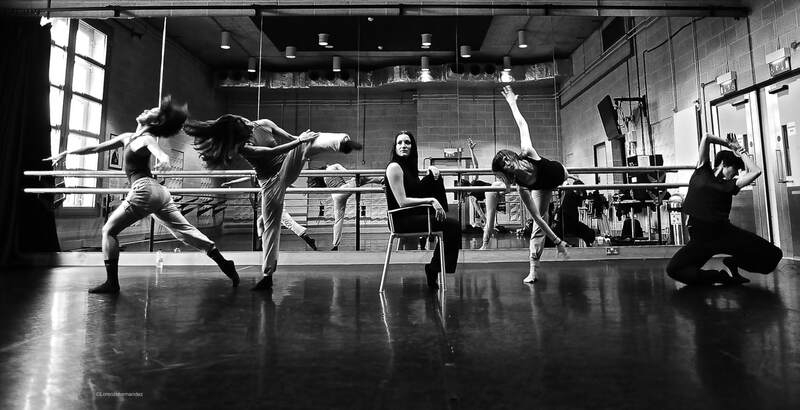 A﻿VATÂRA AYUSO trained in ballet (Conservatorio Profesional de Mallorca and with Carmina Ocaña), in Argentinean Tango and in Linguistics (BA and MA, Universidad Complutense de Madrid) before moving to London to obtain a Certificate in Higher Education at London Contemporary Dance School. In 2005 she became part of the D.A.N.C.E. programme led by Jason Beechey, where she worked and performed internationally under the artistic direction of William Forsythe, Wayne McGregor, Frédéric Flamand and Angelin Preljocaj. She obtained a Postgraduate Degree in Dance from Palucca Hochschule Dresden. From 2010-2018 she has been Associate Artist of the European Centre for the Arts Hellerau Dresden (Germany) and Associate Company of Creative Academy Slough (UK) since 2014. She was nominated for the 2015 National Dance Awards in the UK. She is Residence Artist 2019 at the Teatro del Lago in Chile. Avatâra is Associate Artist of Shobana Jeyasingh Dance (UK). Over the years, Avatâra has received several awards and grants to develop her skills as a choreographer, researcher and cultural leader. Among them are the Arras Preis für Kunst und Kultur Dresden 2010, Young Artist of Saxony 2012, the Lisa Ullman Travelling Fund, Dance UK’s Business of Dance Bursary and Dancers’ Mentoring Programme, and grants from the British Council, Arts Council England, Dance Professionals' Fund and Dancer's Career Development, Fundación Roviralta, Fundación La Caixa, Fundación Sa Nostra, Conselleria de las Islas Baleares and Instituto National de Artes Escénicas INAEM. In her artistic and educational projects in the UK, she has collaborated with large organisations as Sadler's Wells Theatre, BBC Television, Royal Opera House, and Royal Academy of Dance. Avatâra has completed studies in leadership with the Open University UK and with the prestigious Clore Leadership Programme UK (Emerging Leaders). Avatâra founded ɅVɅ﻿ DANCE COMPANY in 2008 developing relationships with artists from different cultures and disciplines (from architecture, to poetry, visual arts and costume design). Her artistic practice aims to overcome eurocentrism, by promoting cultural exchanges among artists. In her most recent projects, she has collaborated with artists from Burkina Faso, Japan, Senegal, Taiwan, Morocco and Nunavut (Canadian Arctic). Avatâra has created and produced both short and full length productions, and has been commissioned by the European Centre for the Arts Hellerau Dresden, Tanzhaus Düsseldorf, Malta University, Los Teatros del Canal de Madrid, Northern School of Contemporary Dance, The British Spanish Society, The Place, Palucca Schule Dresden, Colnaghi Gallery, The Creative Academy, Youth Dance England, Karlovac Dance Festival Croatia, Ministry of Culture of Azerbaijan, Middlesex University, Dresden Philarmonic Orchestra, National Taipei University of the Arts and Joven Ballet Impulsa Madrid. In the UK she has presented work at Edinburgh Fringe Festival, Lilian Baylis Sadler's Wells, Ridley Theater Leeds, Ignition Festival, The Place, Halcyon Gallery, Colnaghi Gallery, The Wallace Museum, Hackney Empire, Richmix and Latitude Music Festival. In 2018 she presented work at Tanzmesse International Festival and the Bienalle of Venice of Architecture 2018, programmed by the Goethe Institute. Her latest works have been supported among others by Arts Council England, the British Council, Canada Council for the Arts, The Spanish Embassy in London, the Spanish Embassy In Canada, and the Canadian Embassy in Berlin. Her dance researches on different contemporary dance sectors have been published in several magazines. Alongside choreographing and running ɅVɅ﻿ DANCE COMPANY, Avatâra teaches professional and company class in ballet and contemporary dance. Avatâra has worked in several schools recognised internationally: Palucca Schule Dresden (Germany), Creative Academy (UK), Northern School of Contemporary Dance (UK), Vancouver Ballet Society (Canada), London Contemporary Dance School (UK), Beijing Dance Academy (China), Royal Academy of Dance (UK) and Taipei University of the Arts (Taiwan), among others. She is fully committed to empowering women and girls (see her AWA DANCE Intiative), taking part in various initiatives to promote change and equality (as Inspiring the Future Inspiring Women UK, and HAMS, refugee women's group in Dresden).